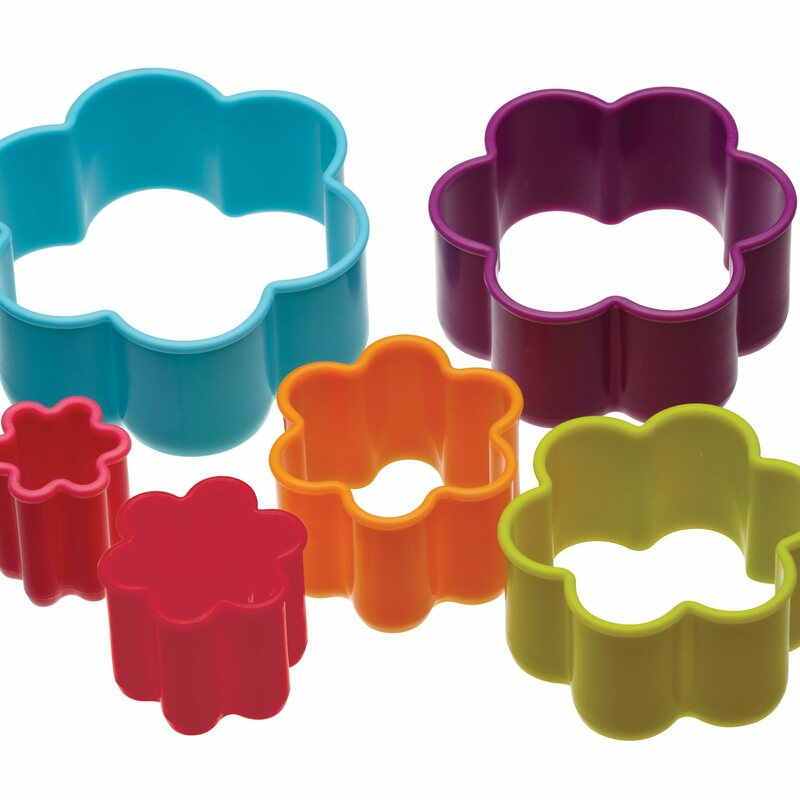 A set of colourful plastic cookie cutters of various sizes nesting in a clear plastic box. 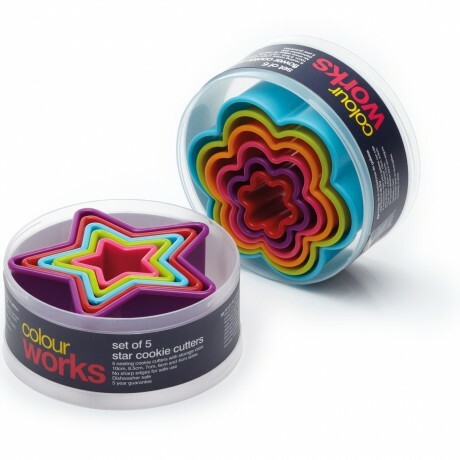 Great quality cutters, particularly suitable for children, in bright striking colours which are sure to brighten any day of baking. Use to cut cookies or make fun shaped sandwiches to tempt little ones. Featuring no sharp edges, ensuring they are safe for use by children, the cookie cutters nest inside each other and can be easily stored away in the clear plastic storage case. The cutters are robust and are also suitable for cutting clay. Dishwasher safe and 5 year guarantee. Chose from heart shaped cutters, flower shaped cutters or star shaped cutters.The cutters come in assorted colours and colours may vary from set to set. Star Cutter Sizes: 10cm, 8.5cm, 7cm, 6cm and 4cm. This product is dispatched by Katie Bakes. This item has a shipping weight of between 120g and 120g depending on the options selected.